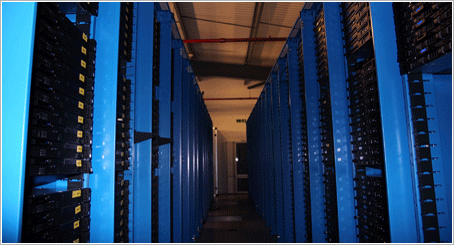 Our data centre is a state-of-art, 50,000 square foot, Tier 3+ aligned facility that covers 4 data halls. Specialist security staff and server engineers are based at the site 24/7/365 to ensure your data has the utmost protection around it and services are always performing smoothly. The infrastructure is constantly monitored by a comprehensive system that alerts engineers within one minute of an issue being identified. A range of multiple Tier 1 providers supply our transit, coupled with a large peering presence of both LINX LANs and LONAP. A powerful Juniper MX platform interconnects our sites whilst our access network is a combination of Juniper QFX virtual chassis fabrics and Juniper EX series virtual chassis to ensure maximum levels of availability. To provide the required levels of resiliency and bandwidth, every rack inside our QFX based access network has numerous 10Gbps uplinks. All prices exclude VAT (at 20%) unless otherwise stated. © 2019 CheapVPS. CheapVPS is a trading name of Simply Virtual Servers Ltd (06937918). VAT Number 974 8341 80.